So long as the IFC actively blocks meaningful accountability for its projects, it calls the credibility of the entire institution as well as the policies it advocates for across the sector into question. Meanwhile, the communities who put their faith in the process are left waiting for justice. More than a year after the independent investigative branch of the World Bank Group's International Finance Corporation (IFC) --known as the known as the Compliance Advisor Ombudsman (CAO) -- issued a damning report on the policy violations at the 4,000-megawatt Tata Mundra coal-fired power plant in Gujarat, India, a new monitoring report from the CAO shows the IFC has failed to take responsibility and address the human rights and environmental violations. After years of dedicated and challenging engagement by fishing communities facing devastating impacts from Tata Mundra - a coal project that has received $450 million in financing from the IFC -- the CAO report appeared to justify the decision by local communities to participate in good faith with the CAO investigation. The choice to engage in the long, difficult, and unfamiliar process risked leaving the communities exposed, but they moved forward with the belief that there would be justice in the end. 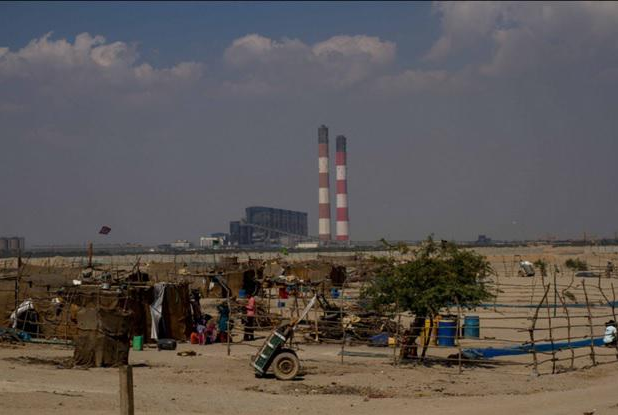 Rather than withdrawing financing for Tata Mundra or creating a meaningful action plan with reparations for residents and a plan for rehabilitation, World Bank President Dr. Jim Yong Kim signed off on an IFC response that largely dismissed the CAO findings. This response was written by same people at the IFC who approved the project, and all the actions included were chosen and set to be executed by the Tata Corporation. The local people in need of urgent help were instead treated to more studies, this time contracted by the same corporation that violated their rights in the first place. This decision sparked an explosive reaction. Over 100 organizations in India condemned the decision, while nearly 70 groups from around the world sent a letter to Dr. Kim in solidarity with the affected people. For years, the IFC has claimed it has a clear, transparent, and inclusive process for accountability. The decision on Tata Mundra proves once again that the IFC is all talk. The IFC is in the business of protecting its clients; in this case, the Tata Corporation. Instead of concerning itself with the effects its projects have on front-line communities, the IFC response confirms it is bent on working against the accountability process. This is hardly the only instance where the IFC has been complicit in the human rights violations in its project loans. In 2009, the IFC loaned $15 million to a Honduran palm oil company, Corporation Dinant, despite public allegations of violence and intimidation. After the violence intensified, the IFC doubled down, approving a $70 million loan to one of Dinant's biggest creditors, Banco Financiera Comercial Hondureña. As with Tata Mundra, the CAO found the IFC failed in its due diligence, and again, the IFC failed to take action. It was only after protests from groups both inside and outside of Honduras that the IFC was forced to admit its failings and take meaningful action. The IFC's continued failings have implications for International Financial Institutions across the globe. The IFC claims to be a leader in accountability, and its Performance Standards are the benchmark many commercial and bilateral financiers use to supposedly ensure their projects cause as little harm as possible. But by dismissing the very real human rights violations at Tata Mundra, the IFC is providing a template for other institutions to ignore their own obligations to local people by dismissing internal audits, mobilizing PR machinery to sweep wrongdoings under the rug, and creating a false narrative that pits accountability against development. The IFC has shown that it talks a big game, but at best, it is playing the role of company messenger - simply passing on an action plan written by the company and lacking any actual action. The communities know the truth, and no amount of denial or invented bureaucratic delays will suddenly convince them that everything is fine. So long as the IFC actively blocks meaningful accountability for its projects, it calls the credibility of the entire institution as well as the policies it advocates for across the sector into question. Meanwhile, the communities who put their faith in the process are left waiting for justice.